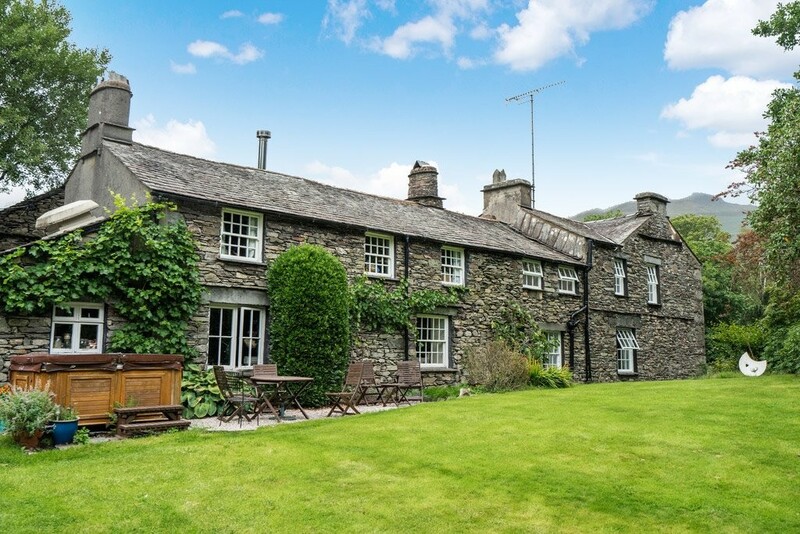 If you have ever dreamt of a lifestyle change which allows you to both be your own boss and live in superb surroundings in the English Lake District, then this unique opportunity might just fit the bill perfectly. 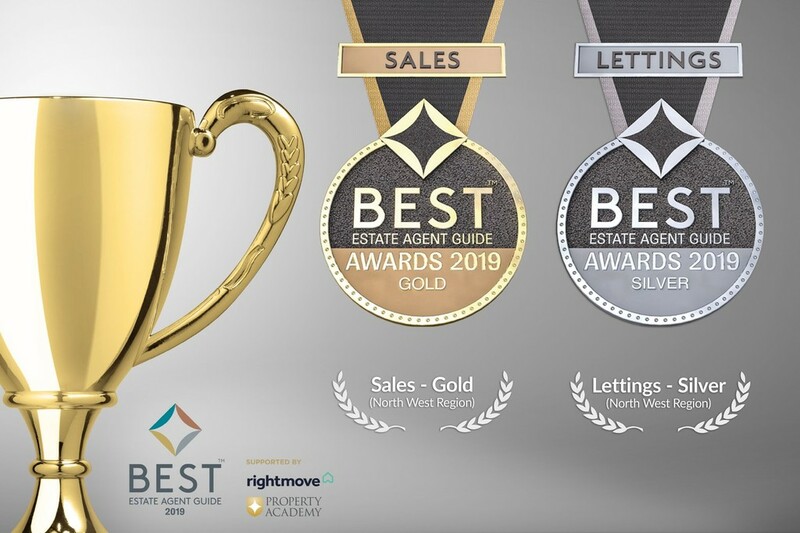 Award winning Thorney How is a wonderfully adaptable property providing both bed and breakfast and hostel style accommodation alongside lovely owners accommodation and includes a bar/restaurant with immense potential. 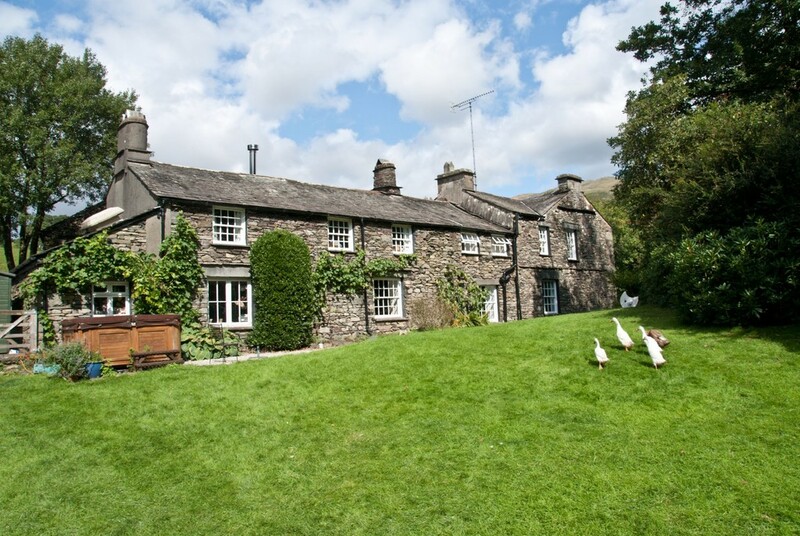 Sitting in around 2.3 acres of lovely grounds with superb views, this attractive Grade 2 listed property includes 7 en-suite bedrooms plus a 4 bedroomed modern bunkhouse, 3 owners bedrooms plus one for staff which could also let, 3 reception rooms, a large dining room/bar, two kitchens, laundry and drying rooms and so much more. 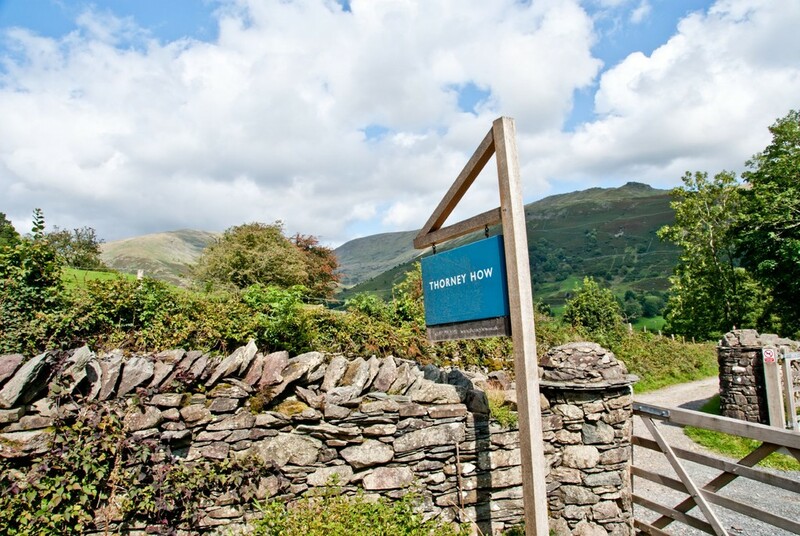 Location On entering Grasmere from Ambleside on the A591 bear left at the mini roundabout close to Dove Cottage (William Wordsworths former home) and continue into the centre of the village passing the church and on reaching the village green turn left onto Easedale Road. Continue on this road until you reach the turning on your right hand side signposted for the Thorney How. Take that turning and Thorney How can be found a short distance up the road on the left hand side with plenty of car parking provision to the side. Description Thought to be around 400 years old in part, this Grade 2 Listed Building is truly unique. 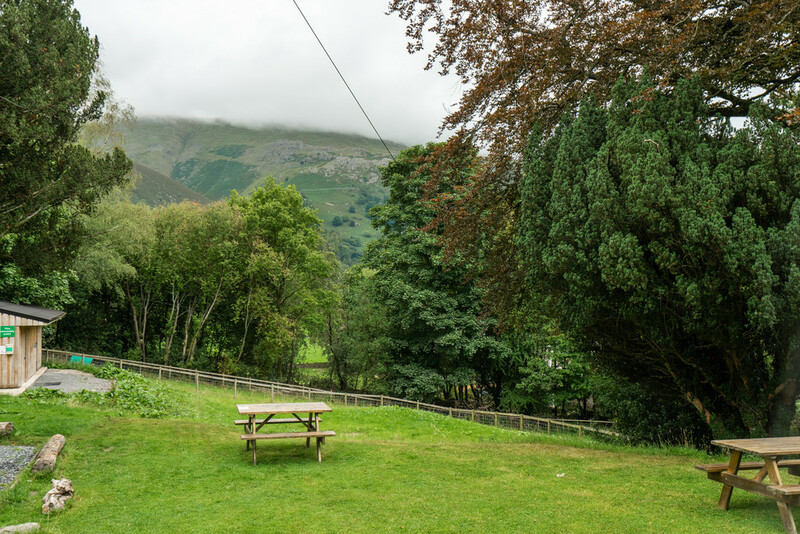 Thorney How has excellent credentials as a place in the fells where guests have come to relax and enjoy all that the Lake District has to offer for a great number of years. 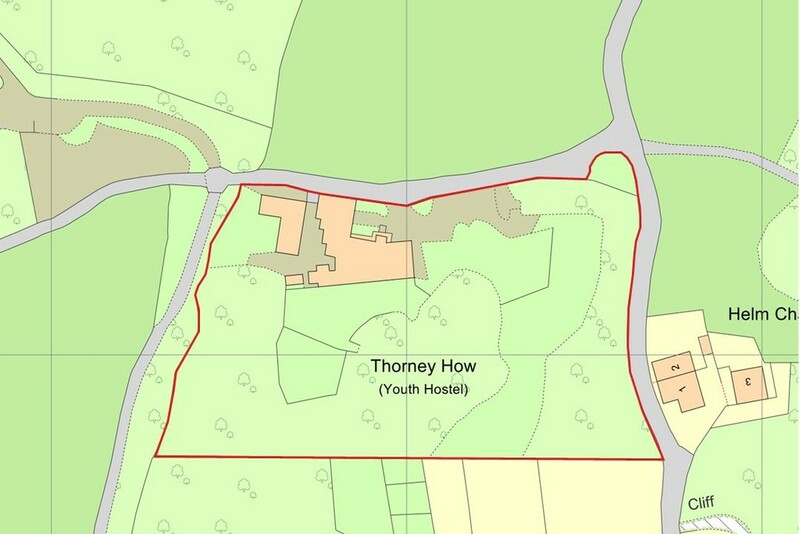 It was indeed the very first property owned by YHA back in the 1930’s before becoming independent some seven or eight years ago (www.thorneyhow.co.uk) . 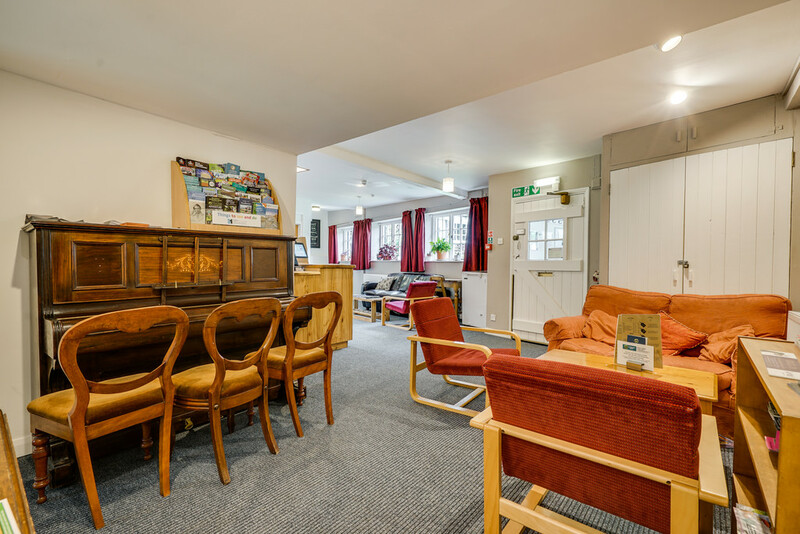 Some things have changed since those early YHA days, and not only with regard the quality of the accommodation on offer. 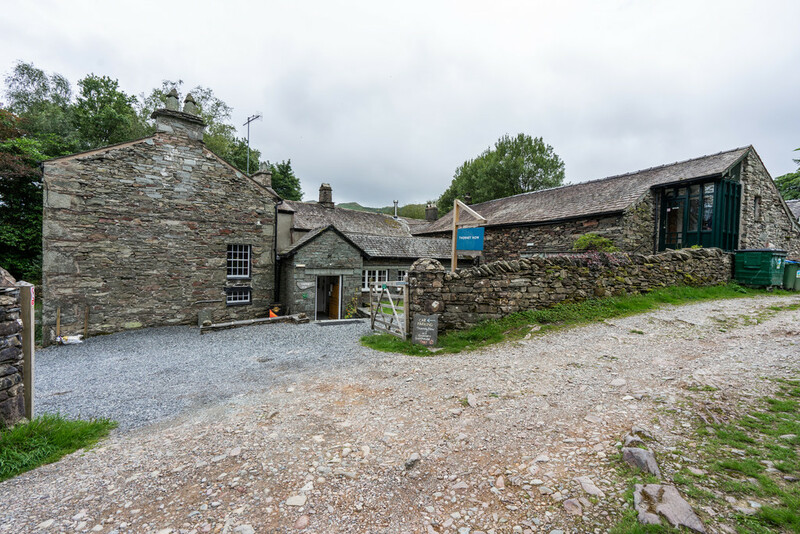 The Lake District would not even have been a National Park back in the 1930’s and now it is a Unesco World Heritage site – a fact which is expected to draw an additional three million tourist visitors each year. Some things on the other hand, have not changed, the beauty of the setting being just one. 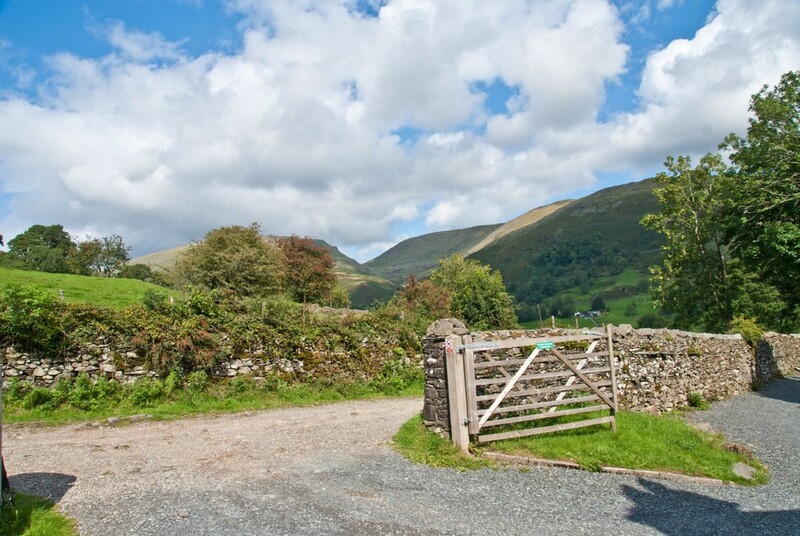 The views are stunning, and the walks accessible from the doorstep are simply sublime. 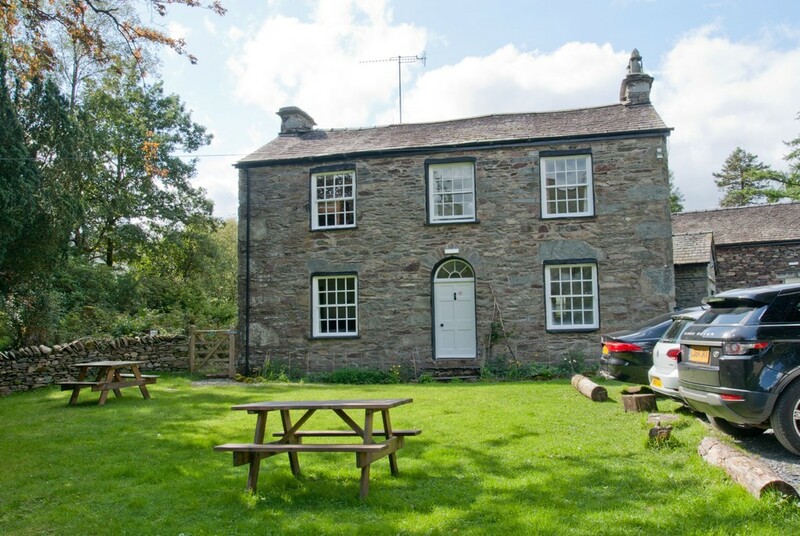 The property’s proximity to long distance footpaths such as Wainwrights Coast to Coast for example has also proved to be a real boon to business.The premises are fully licensed and the kitchen is 5 star rated for food hygiene and Thorney How holds the Green Tourism Gold Award and Trip Advisor Certificates of Excellence Hall of Fame awards for the past five years. 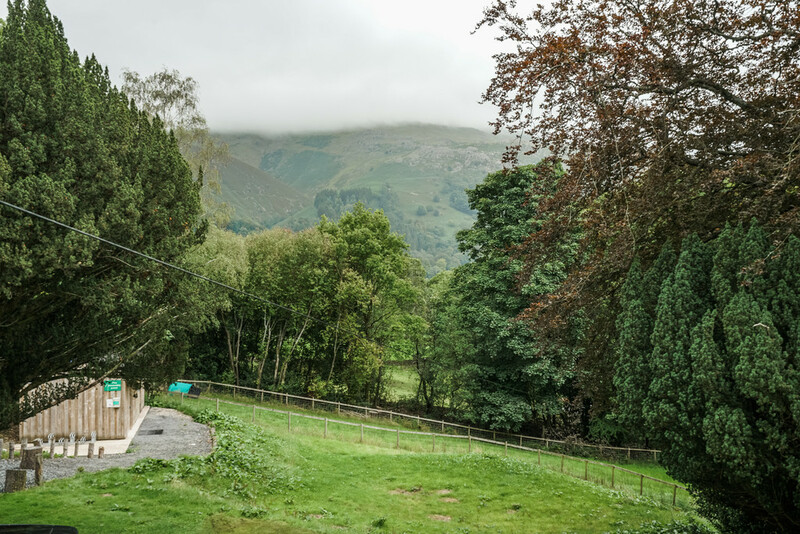 Quietly placed, yet readily accessible to central Grasmere and the high fells which surround this gorgeous village, this adaptable property is a highly successful business operating exceptionally well as a something of a hybrid, combining both en-suite guest house rooms with modern hostel style bunk rooms. 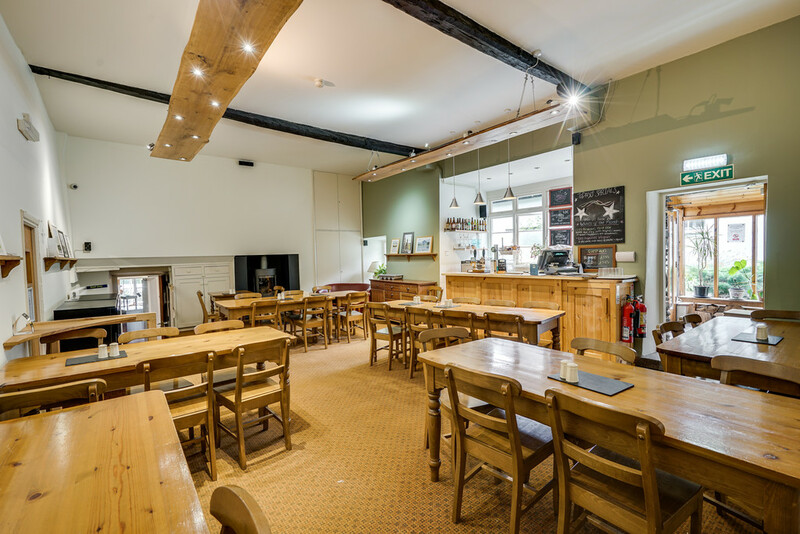 The Bunk House wing is detached from the main building, giving a good degree of independence to these two arms of the business, which are supplemented by the provision of an excellent dining room and bar which offers obvious potential to further expand the business, perhaps by catering to non-residents to a greater extent for example (cinema evenings are already becoming a big hit). 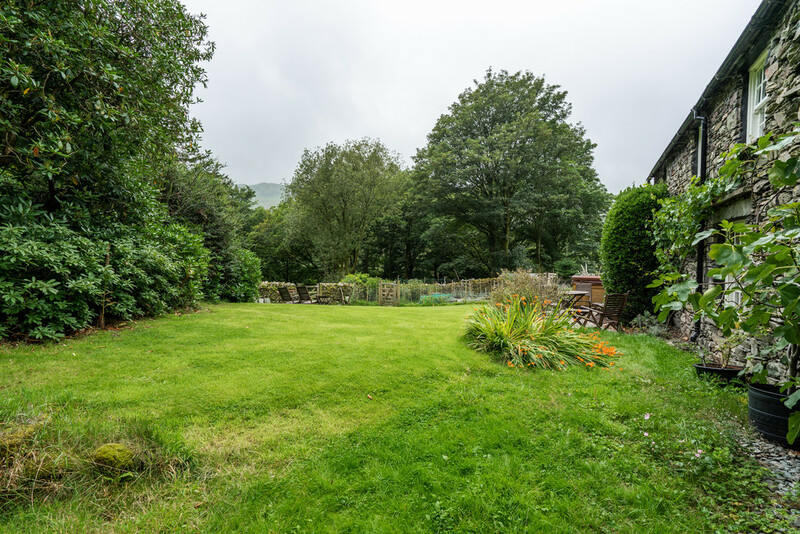 Whilst many may consider this well proportioned property to be just the right size already, planning permission has been granted to allow for further extensions to be added if desired. 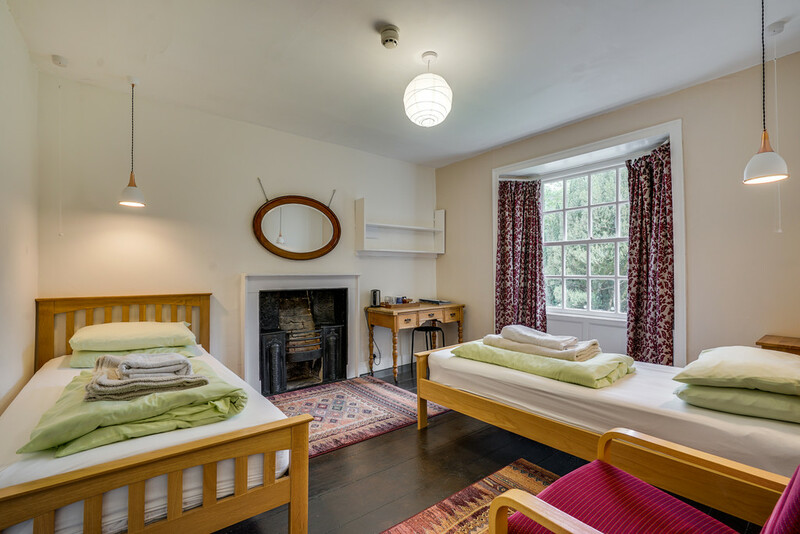 The accommodation already includes two kitchens, one commercial kitchen for catering for guests, and a second allowing those guests who wish to cater for themselves to do so in comfort. The reception area doubles a relaxation space, supplemented by a separate snug and a large lounge complete with a beamed ceiling. 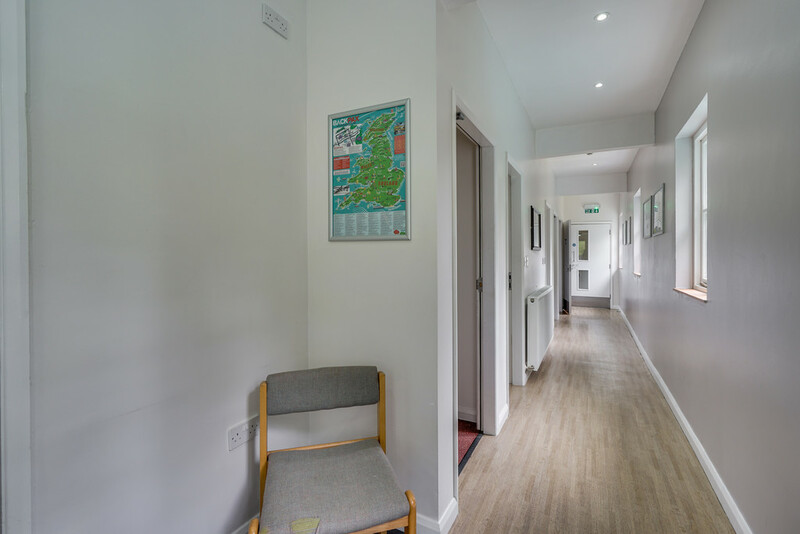 There is an office, drying room, laundry and three adaptable bedrooms all with modern en-suite facilities on the ground floor, alongside those two kitchens and preparation areas and the superb dining room which is large and stylish enough to host a variety of events and parties. 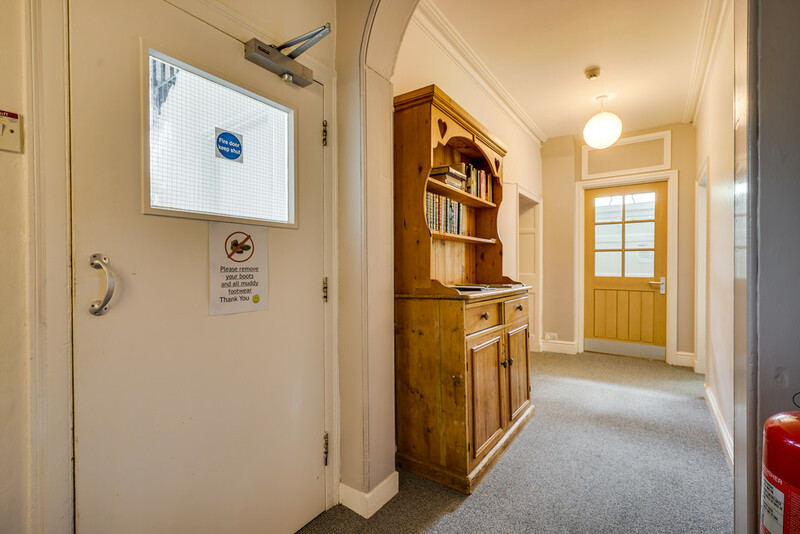 The first floor includes three owners bedrooms (one currently utilised as a store), with a shower room and four further en-suite letting bedrooms with a good level of privacy enjoyed separating the two. 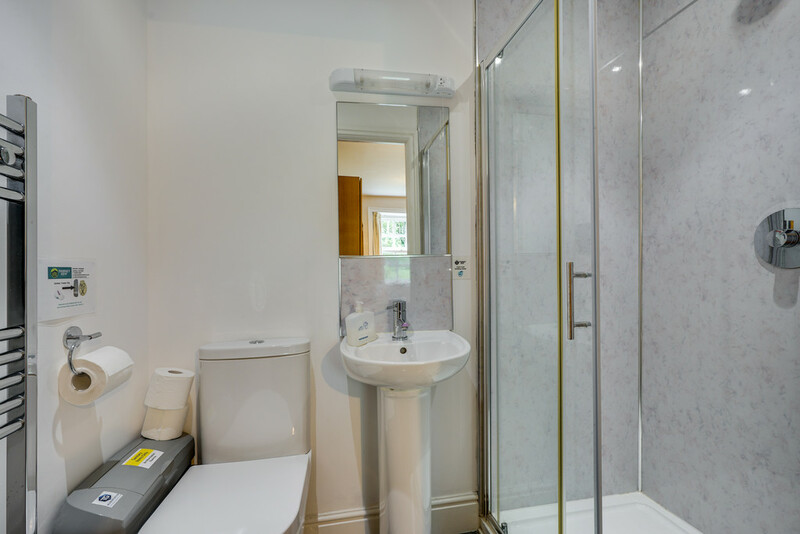 There also is a staff bedroom and shower which has seen service as a further letting suite in the past. 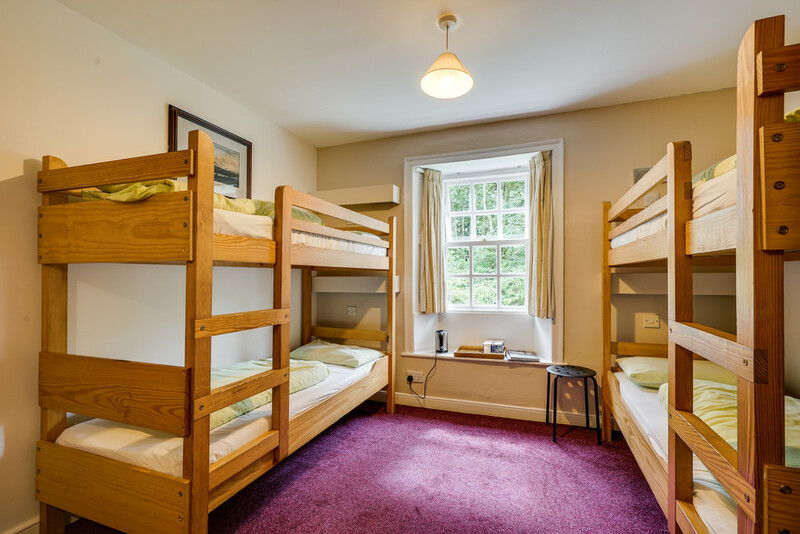 The recently modernised bunk house is detached from the main building and includes 4 bedrooms (with four beds in each), three showers and 3 w.c’s. The Biomass heating system gives Thorney How great green credentials as well an efficient and productive means of heating the buildings (the Renewable Heat Incentive (RHI) is currently around £12500 pa). 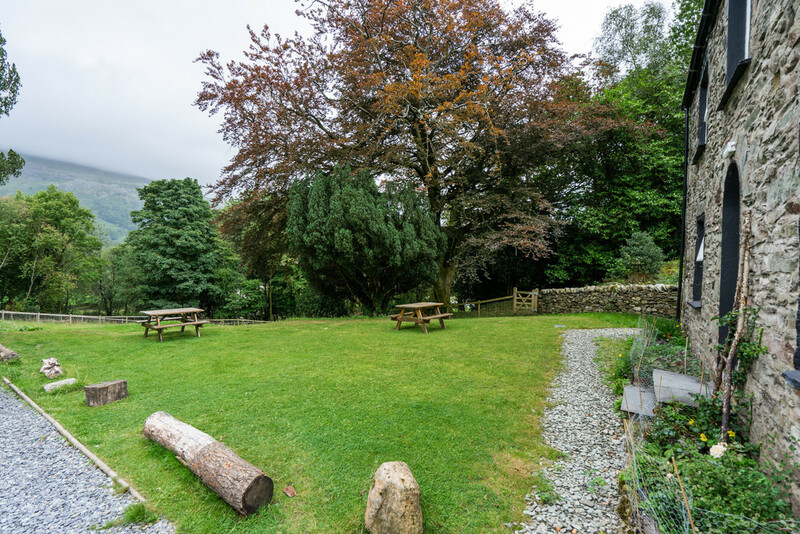 There is plenty of car parking provision and of course the wonderful 2.3 acres of gardens and grounds to enjoy complete with a kitchen garden as well as fruit trees and bushes. 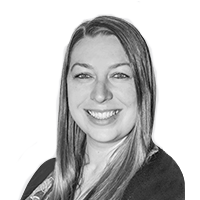 Such an opportunity may not come along again in your lifetime- don’t miss out! Porch Perfect for the removal and storage of muddy boots and coats and having a stone flagged floor. 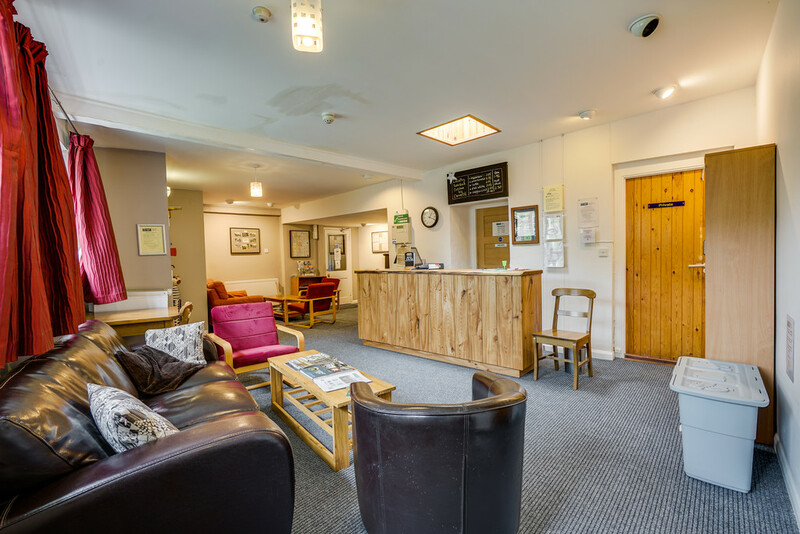 Reception and Relaxation Area 35′ 8" x 16′ 4" (10.89m x 5m) A spacious and bright space enjoying three windows with lovely fell views and a skylight. Having two double radiators, a large storage cupboard and an oak reception desk. 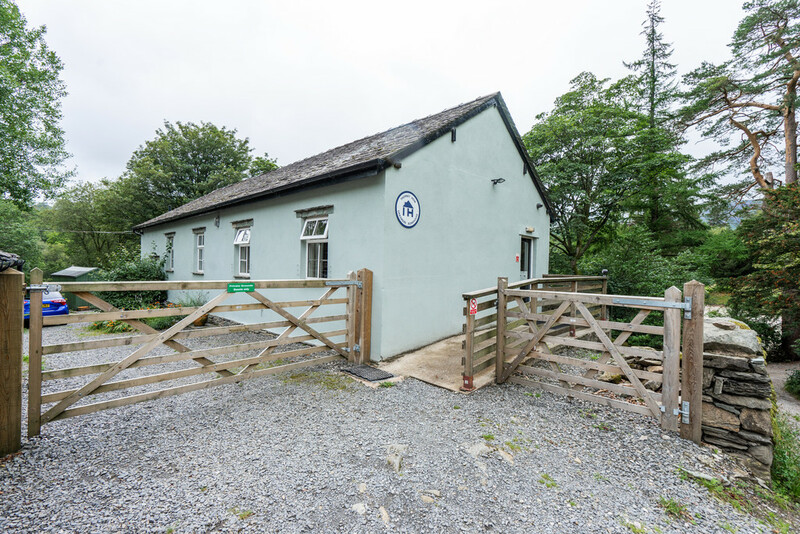 Office 8′ 10" x 5′ 10" (2.7m x 1.8m) With a slate flagged floor and having access to the owners accommodation. 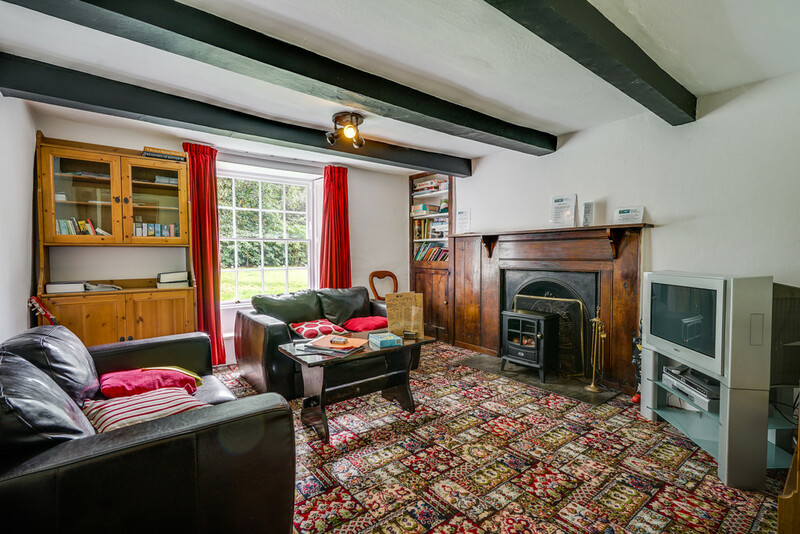 Snug 12′ 9" x 11′ 8" (3.9m x 3.56m) Currently for guests use and having a decorative fireplace with timber surround and mantle and an electric stove, built in shelving and storage cupboard, a window looking to the garden and a beamed ceiling. 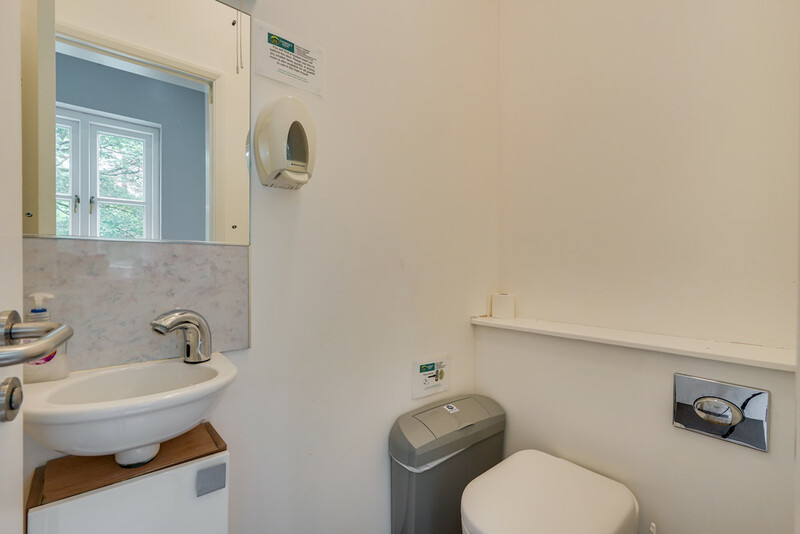 Drying Room 12′ 5" x 9′ 8" (3.8m x 2.95m) Perfect for guests to use after a long day on the fells and having a double radiator, a skylight and a selection or hooks and rails for hanging wet clothes to dry. 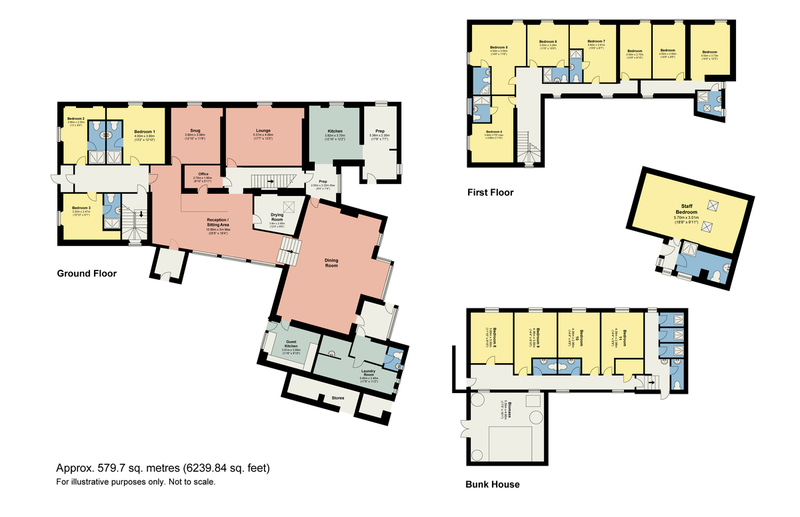 Dining Room and Bar 27′ 5" x 17′ 11" (8.36m x 5.47m) A spacious and bright room enjoying plenty of space to accommodate those utilising the 42 bed spaces. 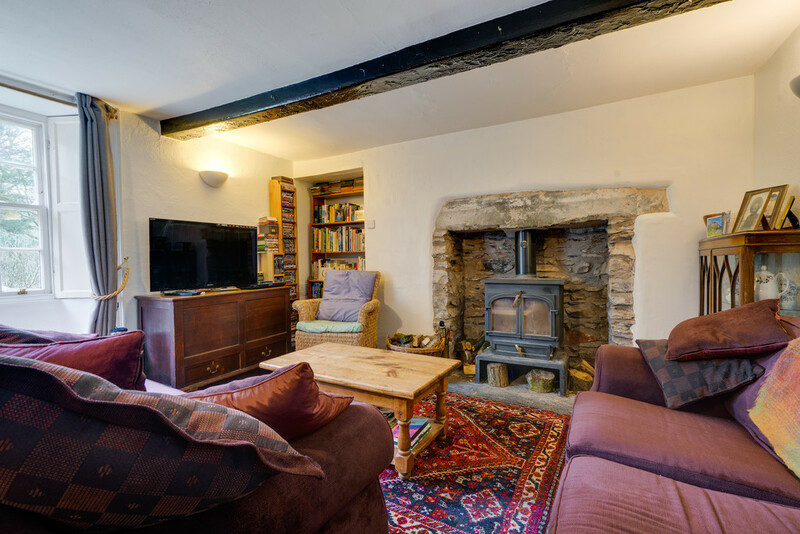 There is a lovely fireplace with wood burning stove for those cooler evenings and even having its own bar! 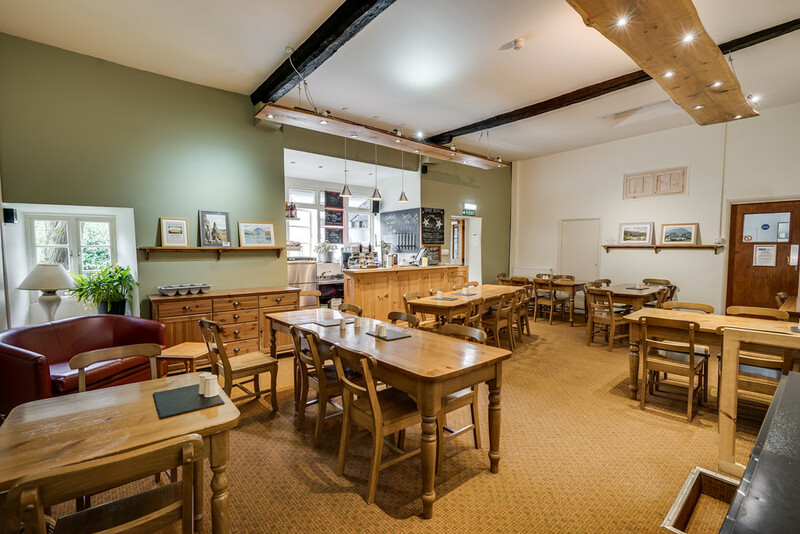 Having bespoke timber down lighter fittings, display shelving, two double radiators, lockable cupboards that house the electrical, hot water and heating controls, two windows and loft access. Behind the oak bar there is an automatic glass washing machine, stainless steel sink with mixer tap, under counter bottle fridge, wall mounted spirit optics, LPR Epos system, two real ale hand pulls with lines attached, space for a third pump (the current lager pump is owned by the brewery), built in shelving for glasses and under counter storage for ale/lager barrels. There is also a lovely oak light fitting. Bedroom 1 13′ 1" x 12′ 9" (4m x 3.9m max.) 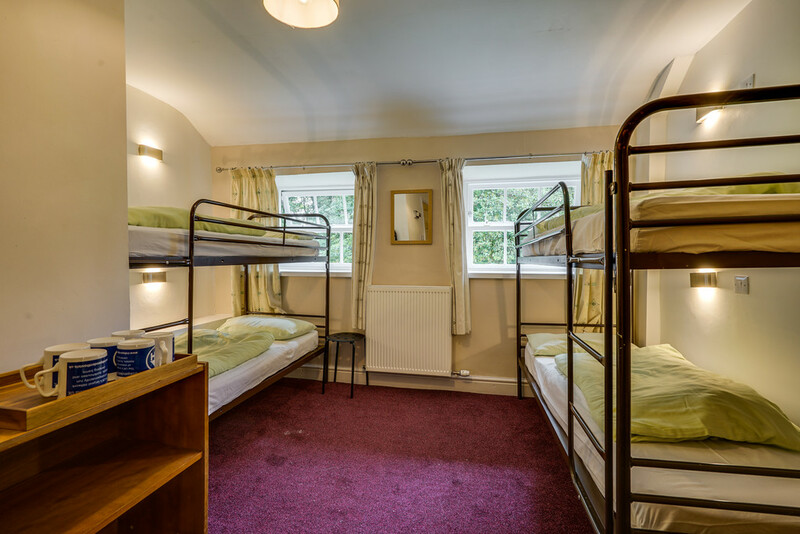 With two sets of bunk beds to sleep 4 guests and having a window, useful built in shelving, a double radiator and a wall light. En Suite Shower Room Enjoying a modern three piece suite comprising a Mira shower, pedestal wash hand basin with light, mirror and shaver point over and a WC. Also having a ladder style heated towel rail and an Advent extractor fan. 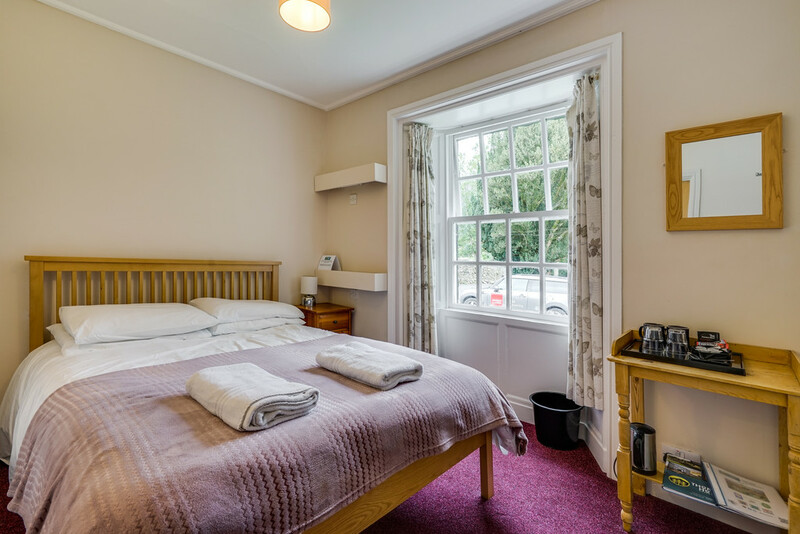 Bedroom 2 12′ 11" x 8′ 4" (3.96m x 2.55m) A double room with lovely views over the gardens to the surrounding fells and having two decorative alcoves utilised as clothes storage areas, a wall light and a double radiator. Bedroom 3 10′ 9" x 8′ 1" (3.3m x 2.47m) A double room enjoying wonderful fell views and having a wall light, down lighter and a double radiator. 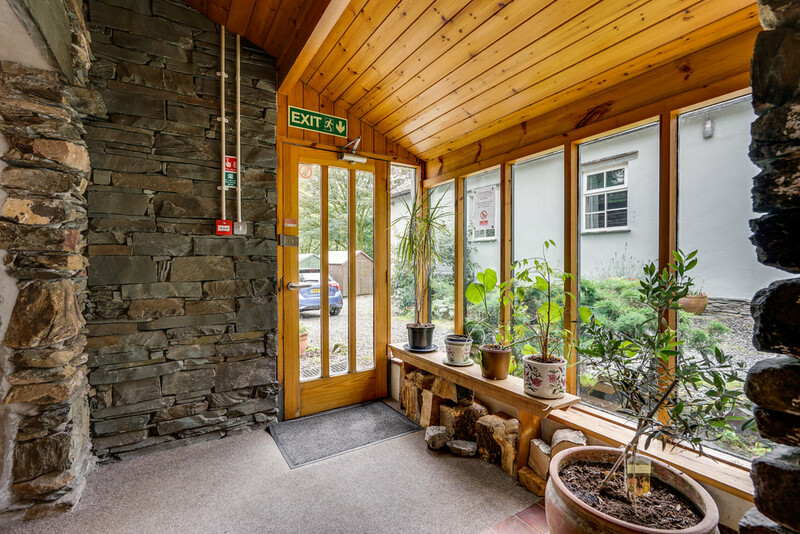 Inner Hallway Having a useful under stair lockable cupboard and a window with views to the surrounding countryside and fells beyond. Landing Having a double radiator and loft access. 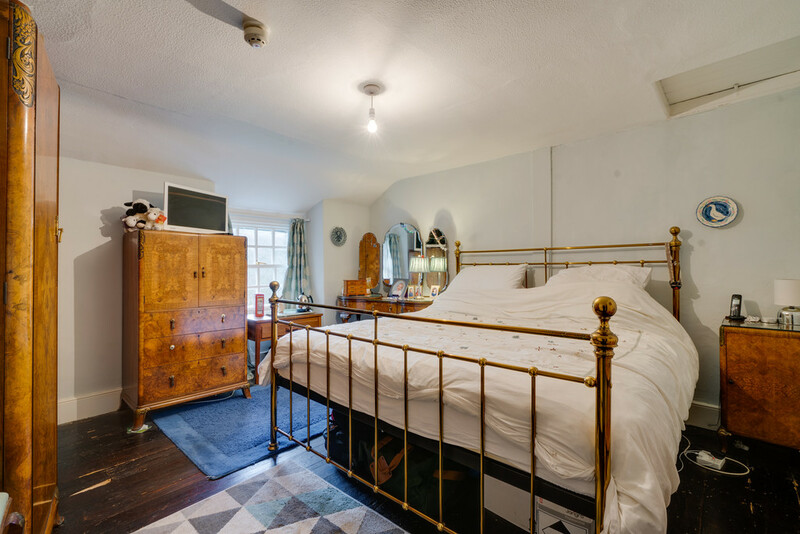 Bedroom 4 17′ 8" x 11′ 9" (5.4m x 3.6m) Currently utilised as a twin room and enjoying beautiful fell views, a decorative open fireplace (not in use), built in shelving, and exposed wooden flooring. En Suite Shower Room Enjoying a modern three piece suite comprising a Mira shower, pedestal wash hand basin with light, mirror and shaver point over and a WC. Also having a ladder style heated towel rail and an Xpelair extractor fan. 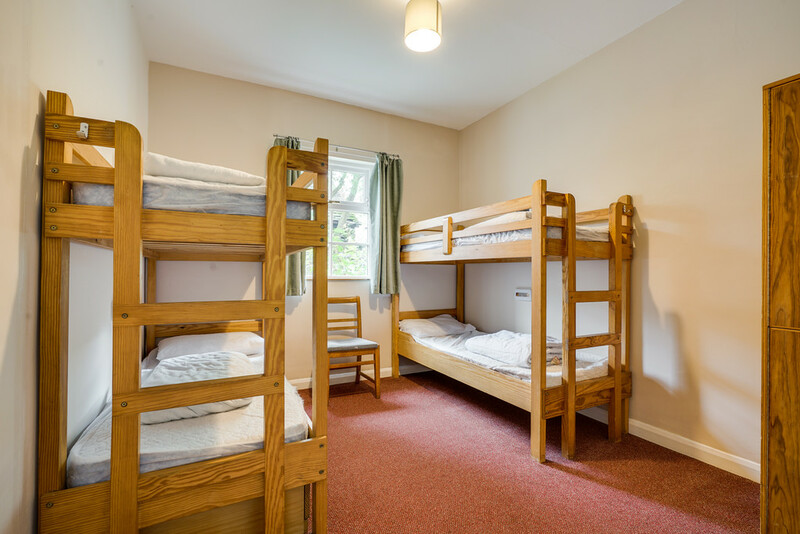 Bedroom 5 18′ 7" x 14′ 9" (5.68m x 4.5m) A spacious room that currently sleeps six guests on three bunk beds and having a dual aspect that benefits from wonderful fell views and having a double radiator and wall lights. En Suite Shower Room Enjoying a modern three piece suite comprising a Mira shower, pedestal wash hand basin with light, mirror and shaver point over and a WC. 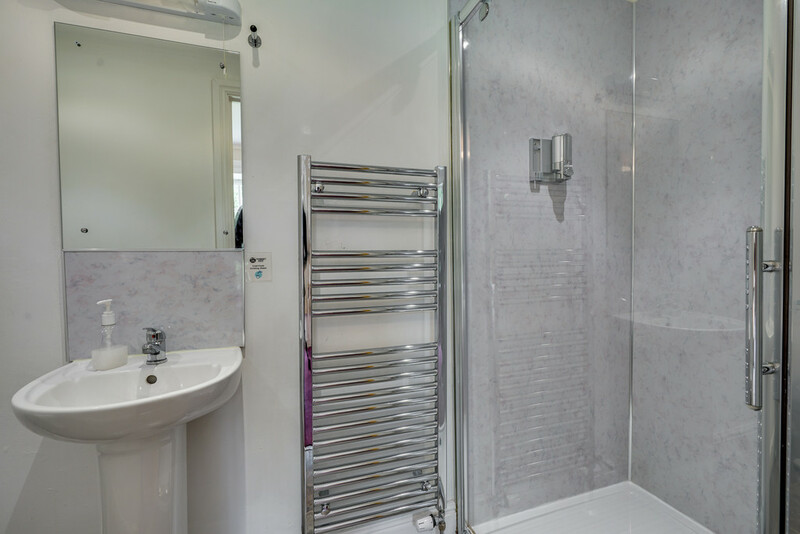 Also having a ladder style heated towel rail, a window and an extractor fan. 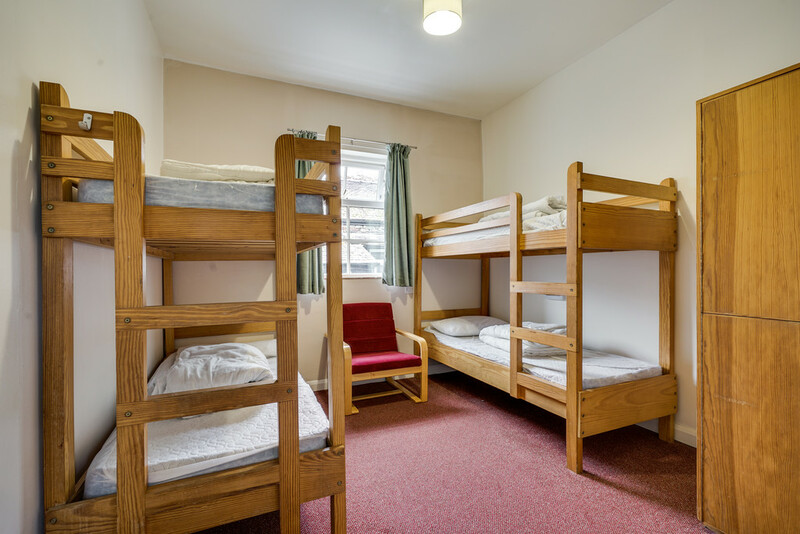 Bedroom 6 11′ 5" x 10′ 9" (3.5m x 3.28m) Sleeping four guests in two bunk beds and having a double radiator, a window, wall lights and a wall mounted fan. En Suite Shower Room Enjoying a modern three piece suite comprising a Mira shower, pedestal wash hand basin with light, mirror and shaver point over and a WC. Also having a ladder style heated towel rail and an extractor fan. 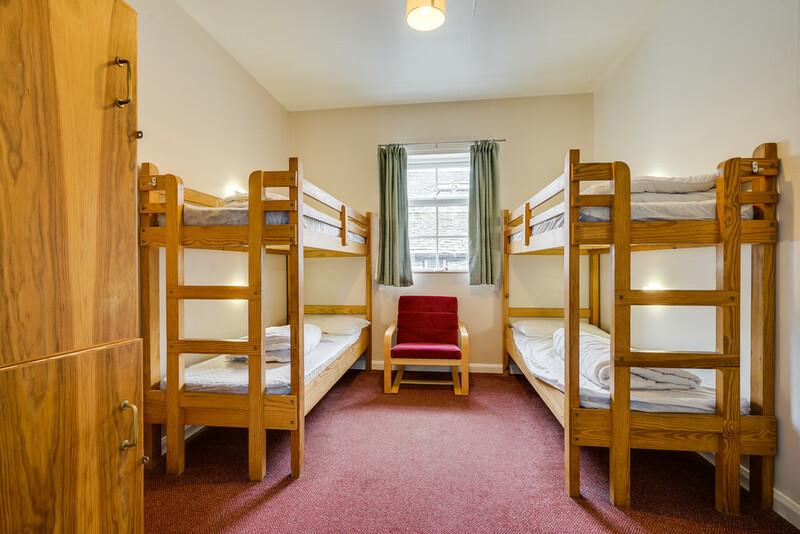 Bedroom 7 16′ 0" x 8′ 6" (4.9m x 2.61m) Sleeping six guests in three bunk beds and having a window, a double radiator and wall lights. En Suite Shower Room Enjoying a modern three piece suite comprising a Mira shower, pedestal wash hand basin with light, mirror and shaver point over and a WC. 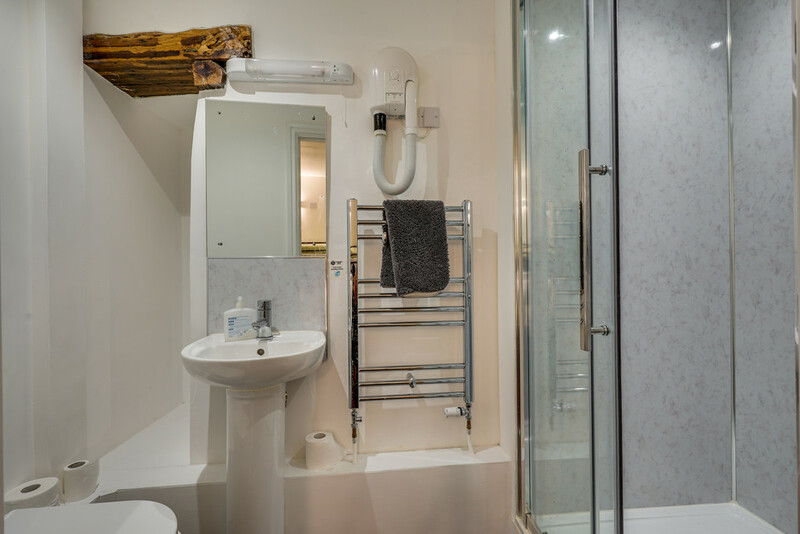 Also having a ladder style heated towel rail, a wall mounted hair dryer an Xpelair extractor fan. Bedroom 12 14′ 9" x 8′ 10" (4.5m x 2.7m) Previously one of the owners double bedrooms (although some minor alteration would be required to link this back with the existing owners accommodation) this room is currently being utilised as an additional storage space. Having a window and a double radiator. Commercial Kitchen Three separate areas make this kitchen ideal for its purpose. There is a breakfast preparation area (2.56m x 2.25 m max.) 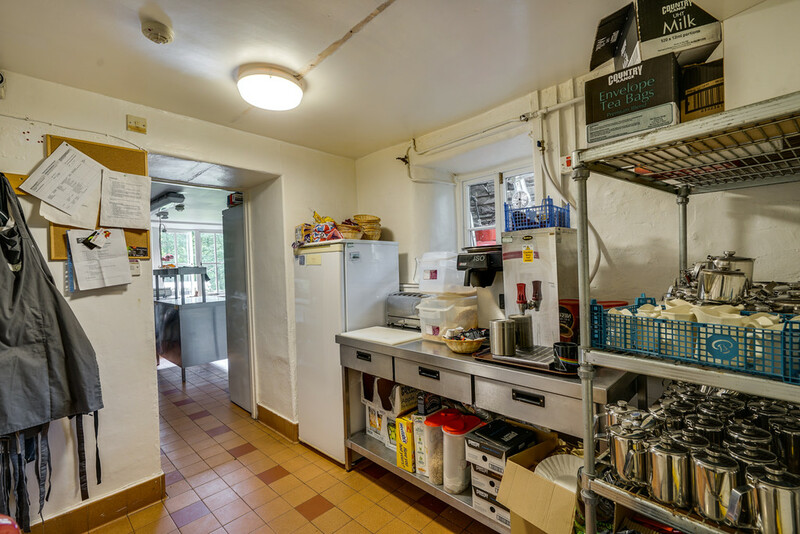 perfect for serving tea, coffee and toast from and having a stainless steel workbench, an Instanta hot water boiler, a Bravilor Bonamat filter coffee machine, part tiled walls, tiled floor and a window. 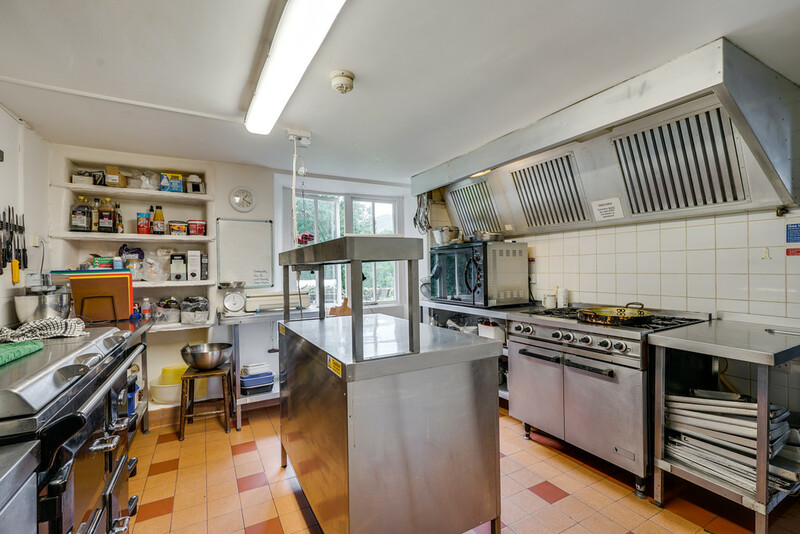 The main kitchen service area (3.92m x 3.7m) benefits from a 6 ring LPG hob with oven below and extraction unit over, stainless steel workbenches, built in shelving, part tiled walls, a tiled floor, a window overlooking the gardens and a double radiator. 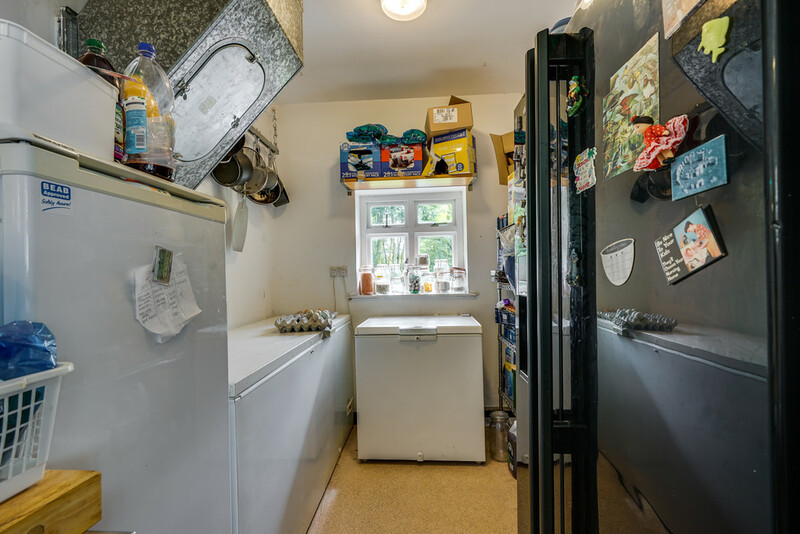 There is also a dishwashing and storage area (5.38m x 2.3m) having large dual sinks each with a drainer, an Xpelair extractor, a separate stainless steel hand washing sink, space for storage shelving, two windows, a door with access to the garden and loft access. 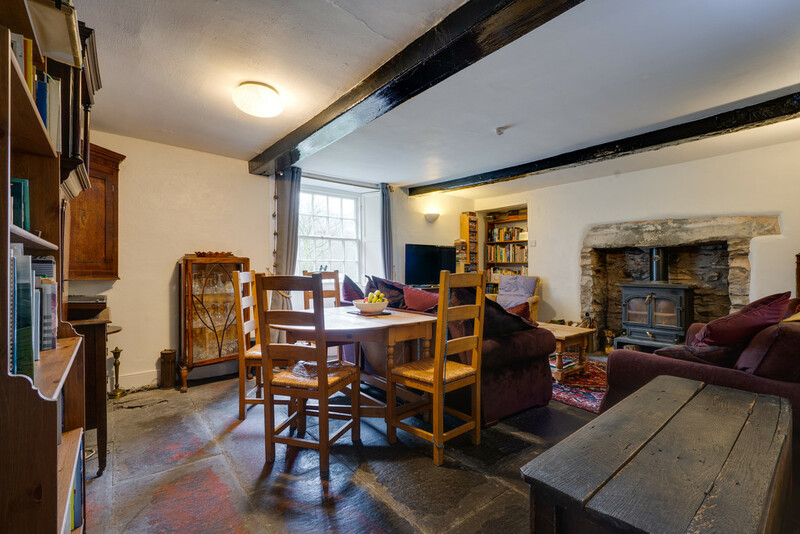 Separate Guests Kitchen 11′ 6" x 9′ 10" (3.51m x 3m) For those who prefer self catering, a separate kitchen is also provided for guests to use. 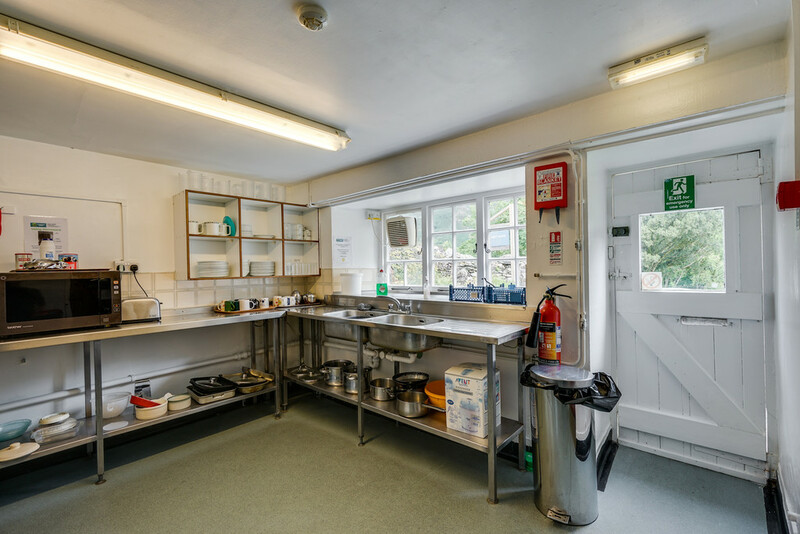 Having a range of stainless steel workbenches, dual stainless steel sinks with drainers, part tiled walls, an extractor fan, two cookers and two refrigerators as well as a door giving access to the front of the property. Guest WC Having a WC, a wash hand basin, an opaque window and a Blow Motion automatic hand dryer. Utility Room / Laundry Store 17′ 8" x 11′ 1" (5.4m x 3.4m) Having plumbing for an automatic washing machine, two opaque windows, a double radiator, built in shelving, a Belfast sink and a tiled floor. There is also a disused shower room that is now utilised as storage space.. 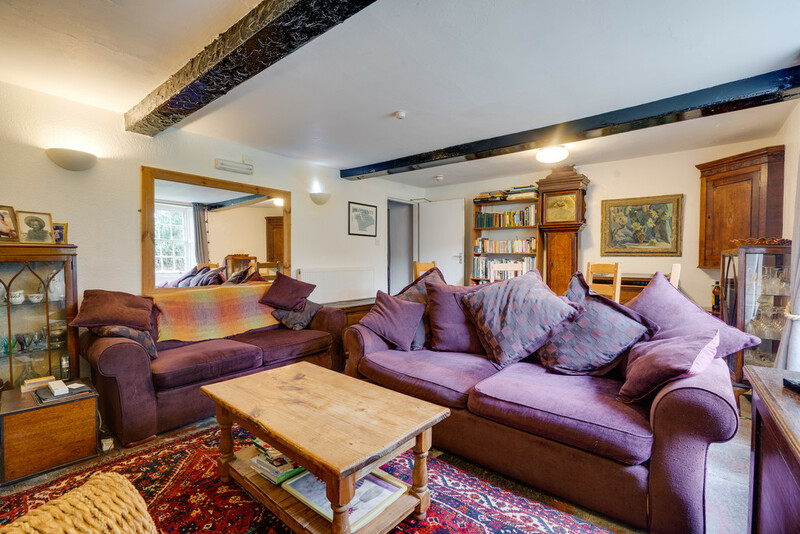 Lounge 17′ 7" x 13′ 5" (5.37m x 4.09m) Having an array of traditional features including a wonderful inglenook fireplace with exposed stonework and a wood burning stove, a window with beautiful views over the garden to the fells, a riven slate floor, a beamed ceiling, wall lights and space to dine. Landing Having two windows, a double radiator, and loft access. 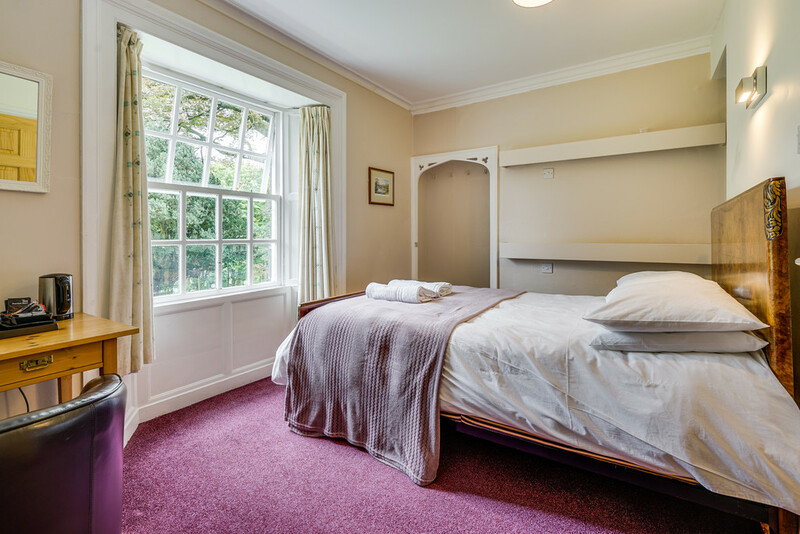 Owners Bedroom 1 14′ 9" x 8′ 10" (4.5m x 2.7m) A double room views over the garden to the fells beyond and having a double radiator. 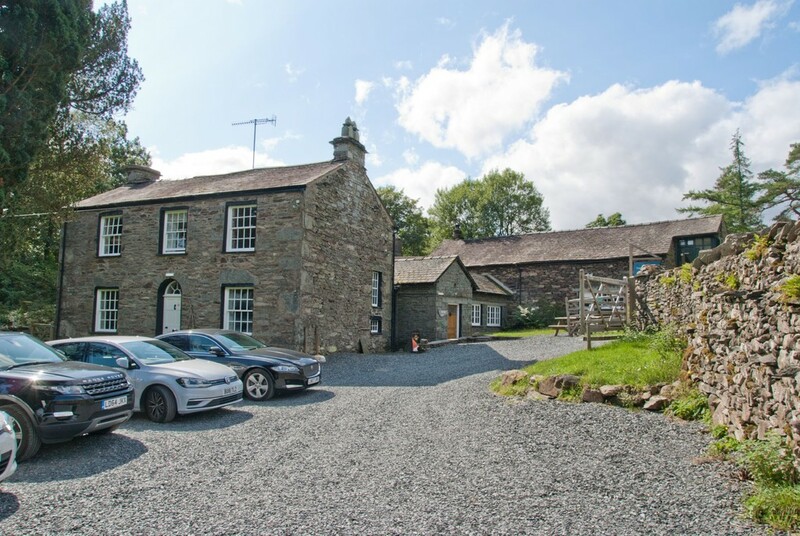 Owners Bedroom 2 14′ 9" x 8′ 6" (4.5m x 2.6m) A double room views over the garden to the fells beyond and having loft access a double radiator. NB Bedroom 12 could easily be re-united with the owners bedroom accommodation to provide a third private bedroom accessed from the landing here with some minor amendment. Shower Room Having a three piece suite comprising a shower cubicle with Aqualisa shower, a corner wash hand basin with mirror and shaver point over and a corner WC. 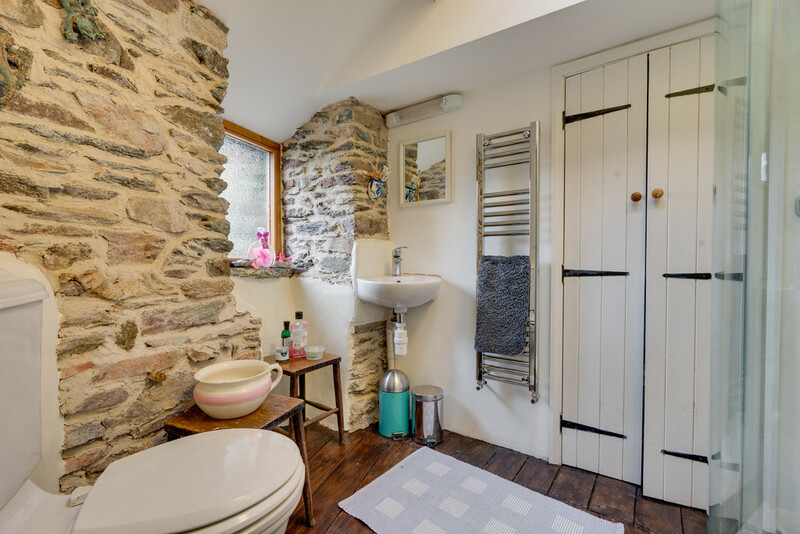 Having an exposed stonework wall, exposed wood floor, an opaque window, useful built in storage cupboard, a sky light, electric towel rail and an extractor fan. 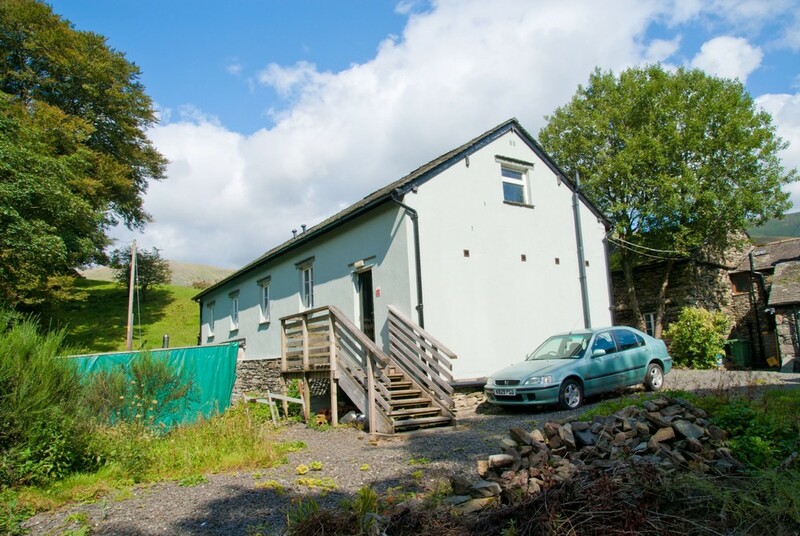 THE BUNK HOUSE A separate, recently modernised building with additional guest accommodation. 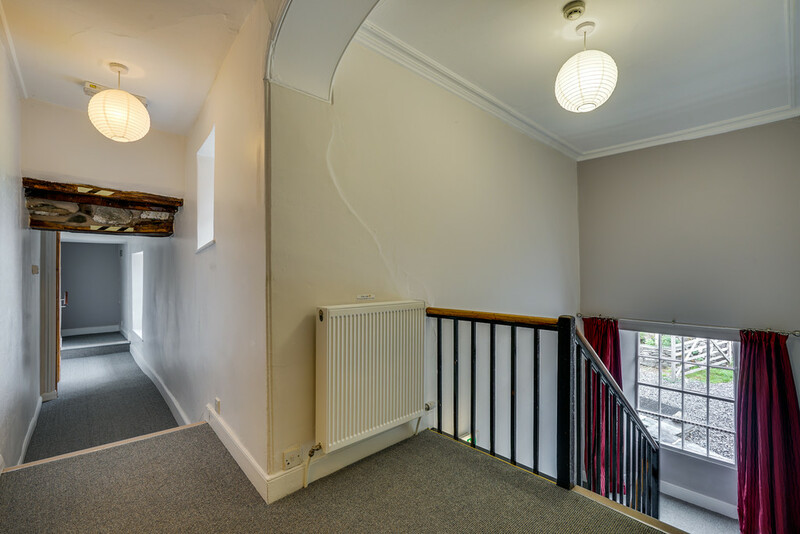 Hall Having four windows, a double radiator and motion sensor automatic lighting. Bedroom 8 11′ 9" x 9′ 10" (3.6m x 3m) Sleeping four guests with two bunk beds and having a window, wall lights and a double radiator. Bedroom 9 14′ 3" x 9′ 10" (4.36m x 3m) Sleeping four guests with two bunk beds and having a window, wall lights and a double radiator. 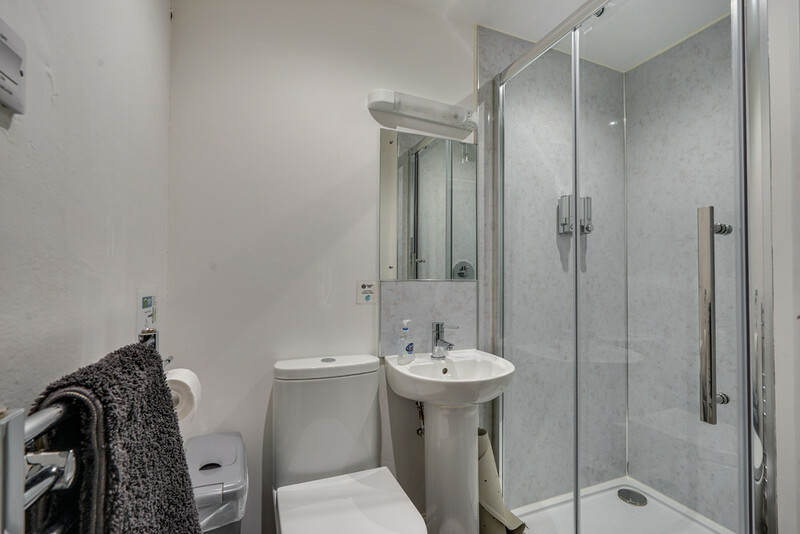 WC 1 Having a WC, a wash hand basin with mixer tap and light, mirror and shaver point over, a soap dispenser, an electric towel rail and a Manrose extractor fan. 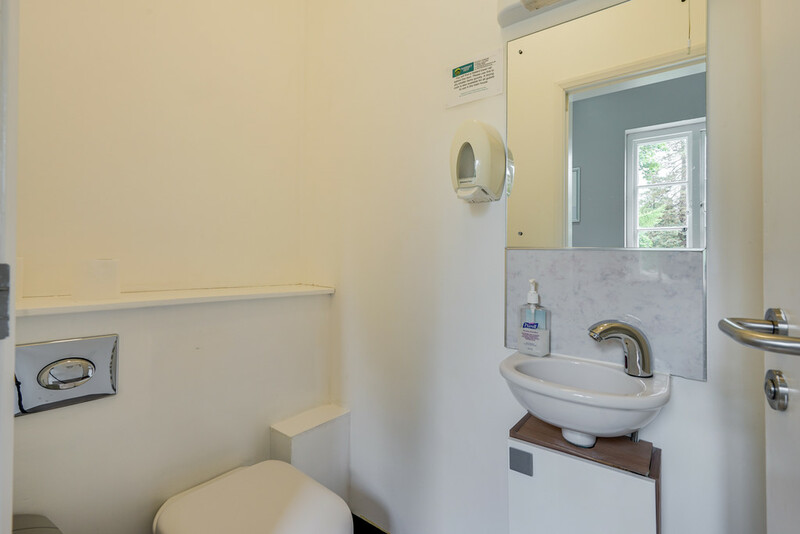 WC 2 Having a WC, a wash hand basin with mixer tap and light, mirror and shaver point over, a soap dispenser an electric towel rail and a Manrose extractor fan. 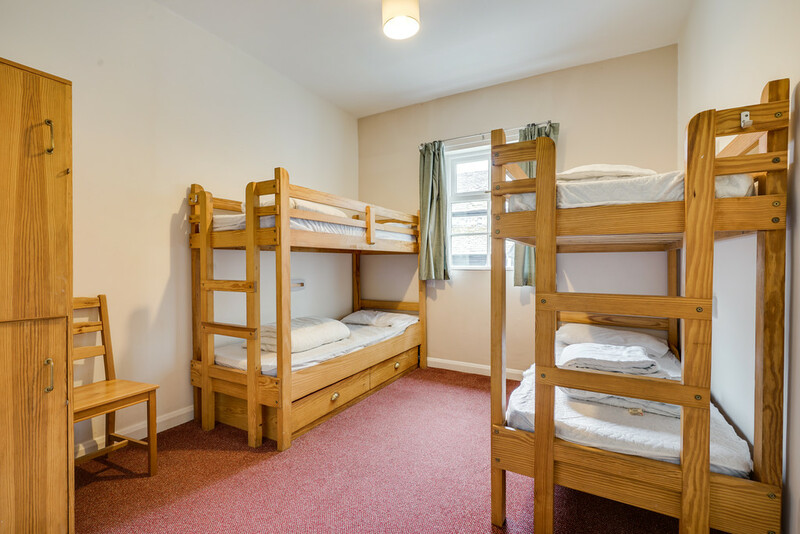 Bedroom 10 14′ 3" x 9′ 10" (4.36m x 3m) Sleeping four guests with two bunk beds and having a window, wall lights and a double radiator. Bedroom 11 14′ 3" x 9′ 9" (4.36m x 2.98m) Sleeping four guests with two bunk beds and having a window, wall lights and a double radiator. Shower Rooms Having a wash hand basin with mirror over, a Dyson hand dryer, Corbys wall mounted hair dryer, under floor heating and an opaque window. There is also a door giving access to outside. 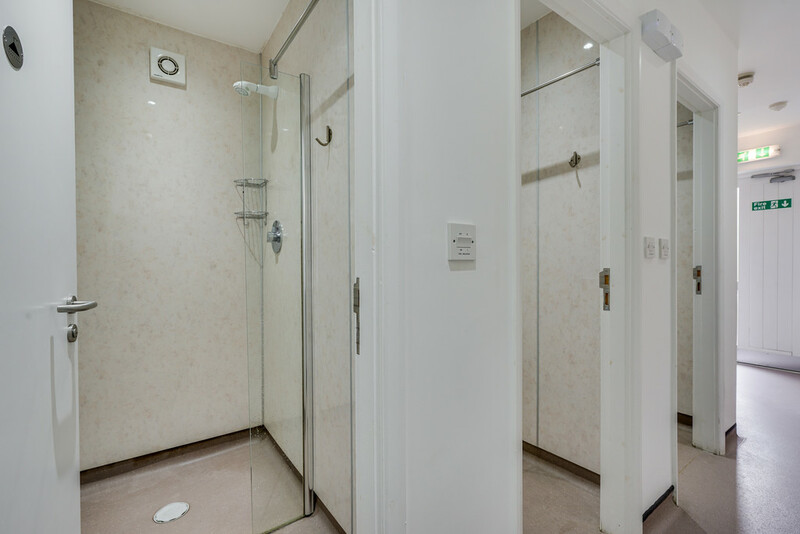 There are three wet room shower cubicles all with a lockable doors, Mira shower units, under-floor heating ,motion sensor lighting, a Manrose extractor fan and hooks to hang clothes and towels. WC 3 With a WC and wash basin. Biomass Room 17′ 4" x 16′ 0" (5.3m x 4.9m) A 100kW Guntamatic Biocom wood pellet boiler meets the hot water and heating requirements of both Thorney How buildings. 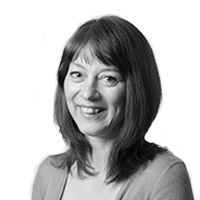 It is a low carbon alternative to electricity with much fewer emissions than traditional fossil fuels. 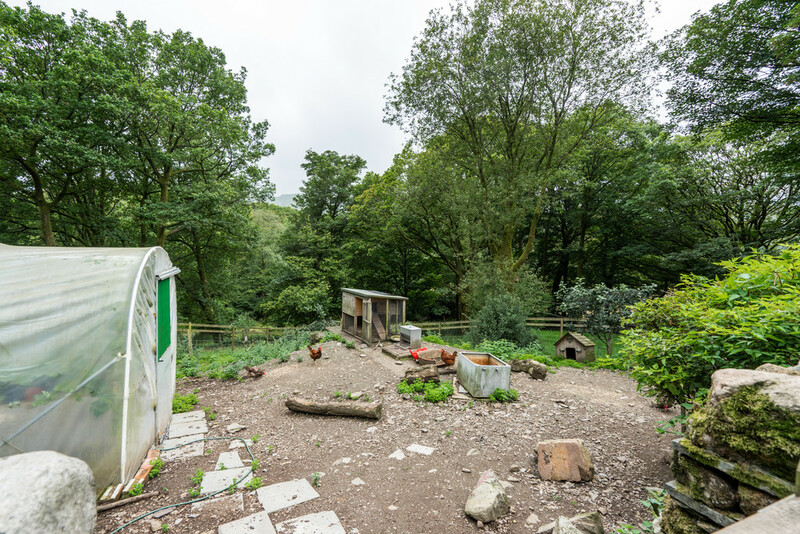 There is also a store for approximately 7 tonnes of wood pellets and a hot water tank that holds 2,000 litres of water. 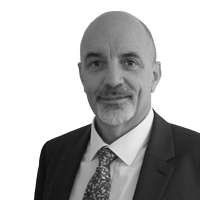 The Renewable Heat Incentive (RHI) is understood to currently be in the region of £12,500pa, providing a healthy return. 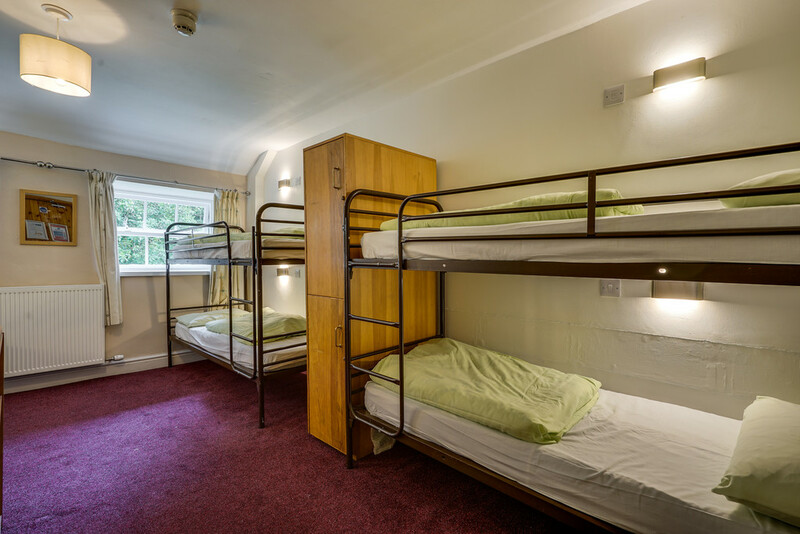 STAFF ACCOMMODATION A separate building provides ancillary accommodation currently utilised as a staff en suite bedroom. 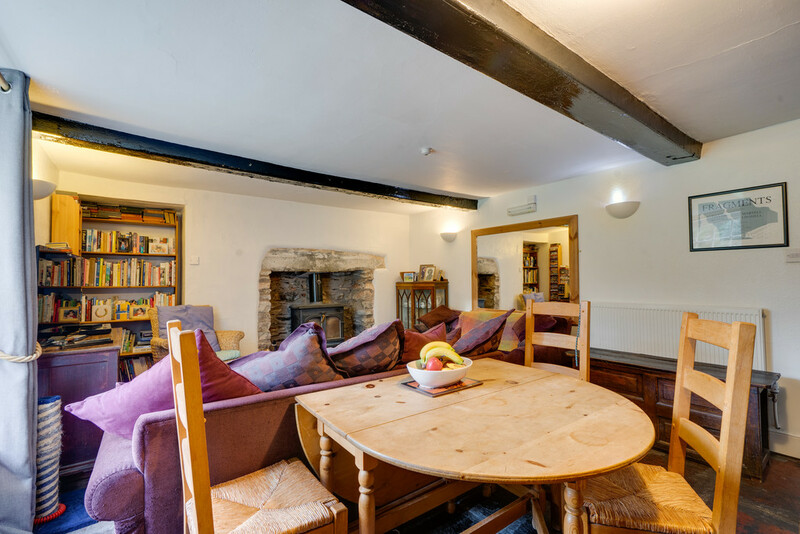 Previously this space has been used as additional guest accommodation. 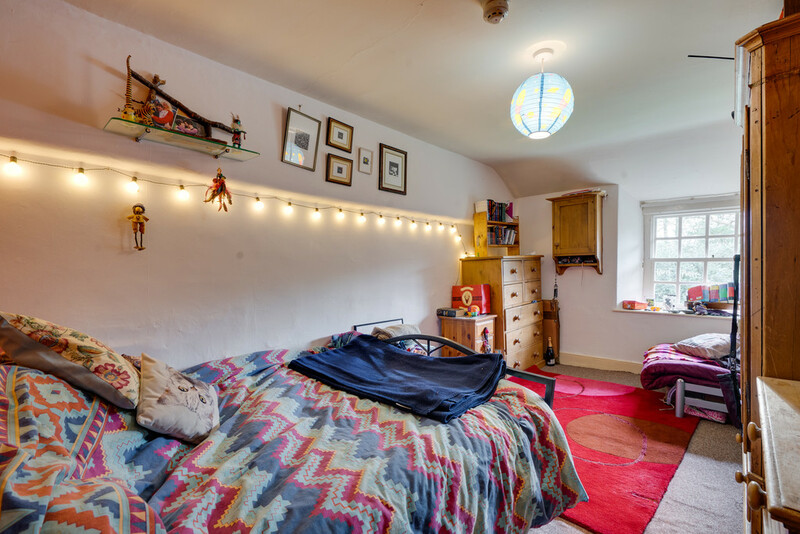 Bedroom Having a glazed entrance porch perfect for the storage of muddy boots, this double room also two skylights, a double radiator, wall lights and a beamed ceiling. En Suite Shower Room Enjoying a Mira Sport shower, a wash hand basin and a WC and also having a window, a double radiator and a shaver point. 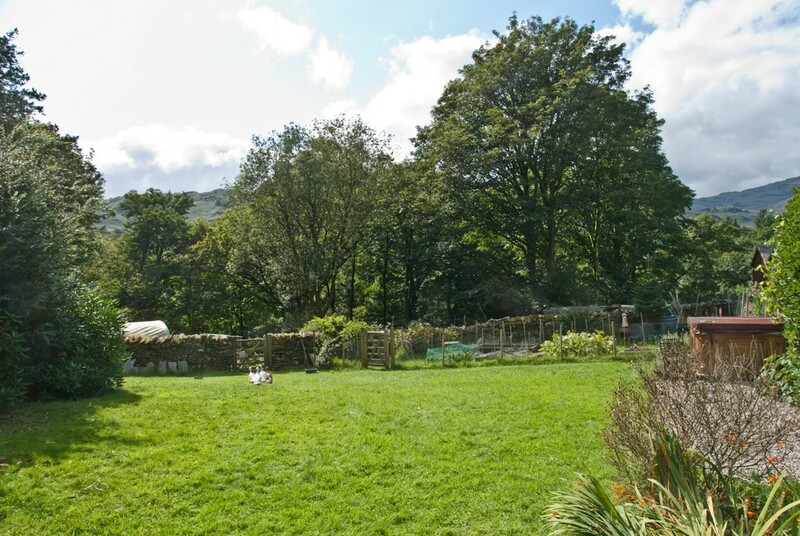 Garden With an impressive 2.3 acres of gardens, paddock and grounds set in the most beautiful location and enjoying wonderful views to the surrounding countryside and fells. 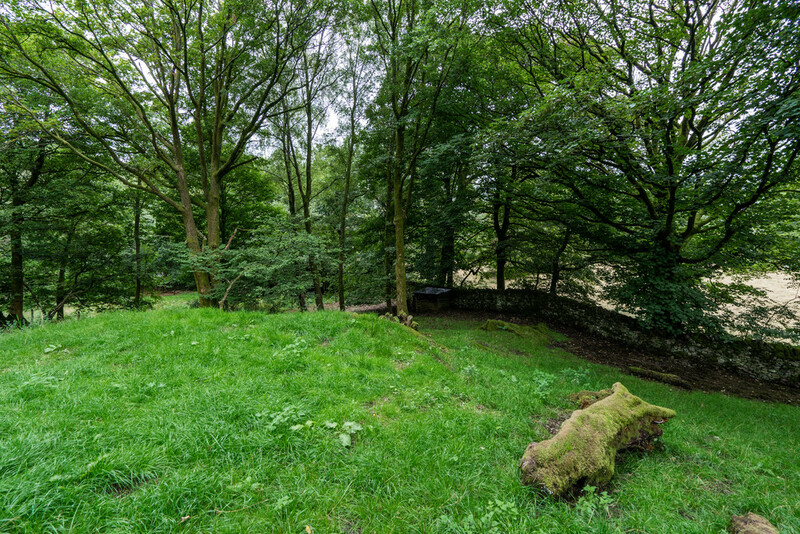 There is a lovely elevated paved patio perfect for enjoying a morning coffee or an evening glass of wine, an area of flat lawn as well as a sloping garden which includes a sections of natural garden and woodland, which is a real haven for wildlife. 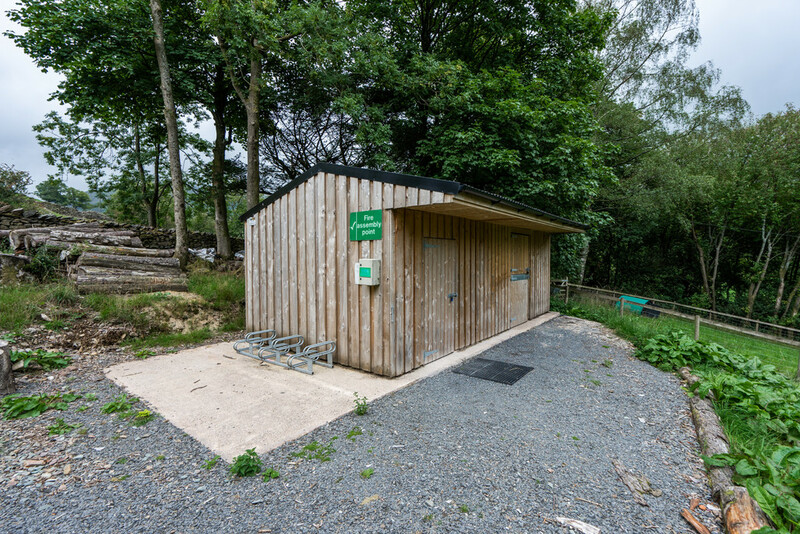 There is also a useful modern timber built outbuilding that is currently used as excellent storage space and as a secure bike shed for guests but could lend itself to other uses such as a workshop, stable or home office. 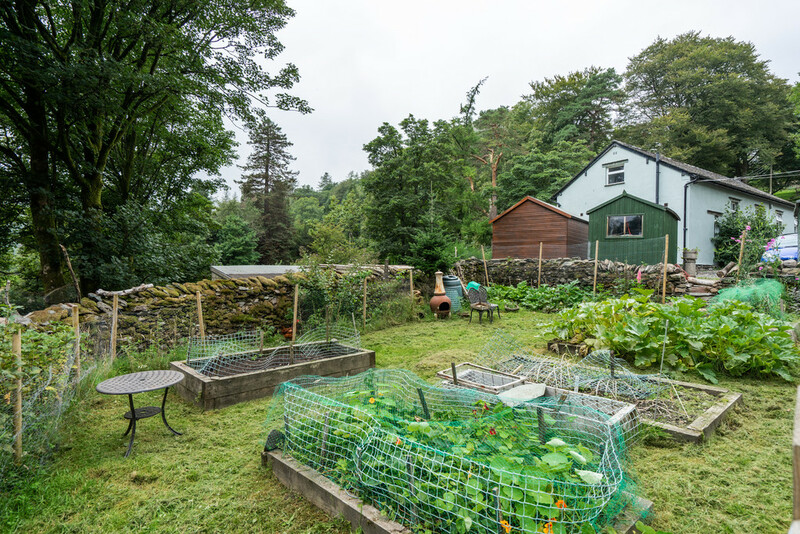 There is a polytunnel, garden stores and sheds and a variety of fruit trees and bushes as well as a kitchen garden. 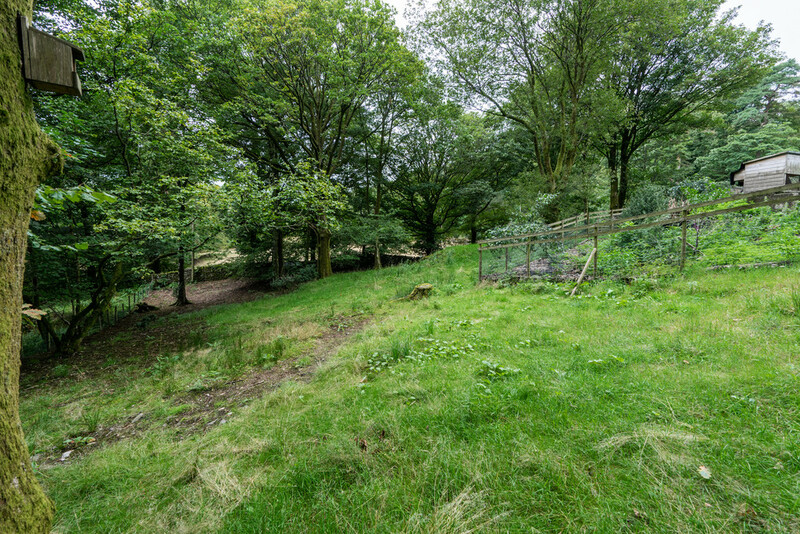 NOTE There is a small area of Japanese Knotweed in the garden area, some distance (far more than the recommended 7 meters) from the buildings which has been undergoing treatment by the vendors themselves. 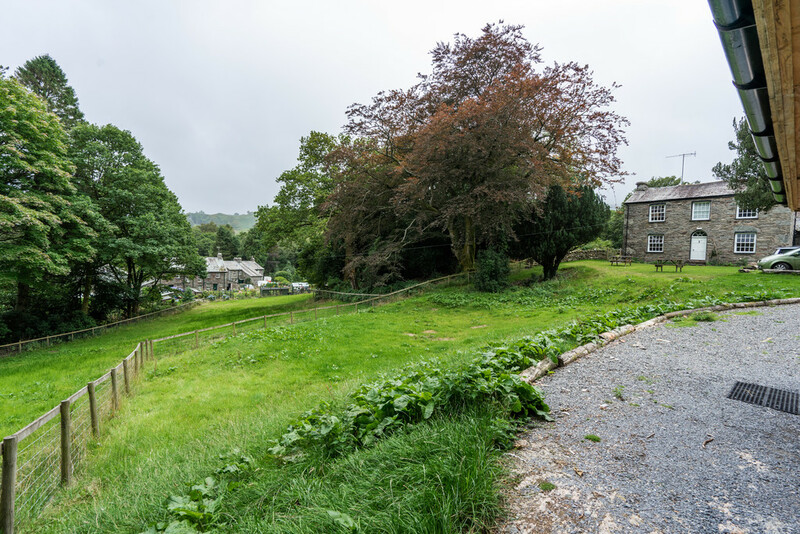 Parking To the front of the property is ample car parking provision for a number of cars, with additional parking available to the rear and further car parking provision in the access lane iteself. 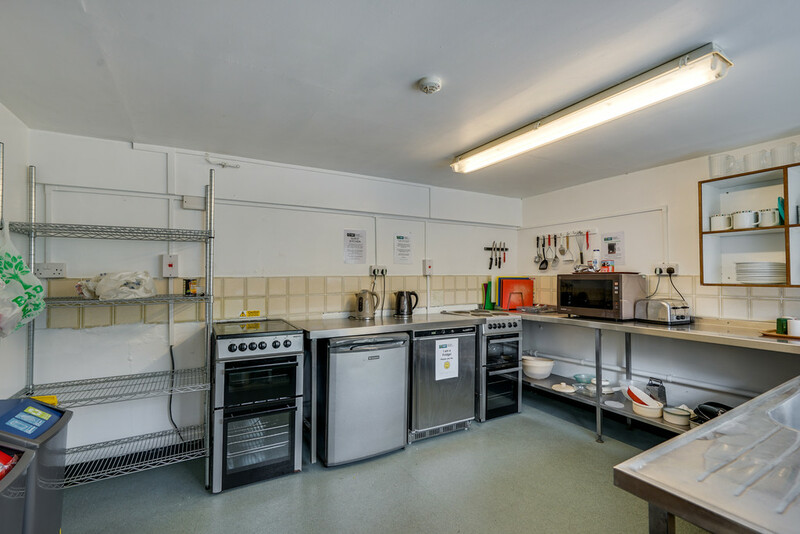 Services The property is connected to mains electricity, water and drainage and has LPG gas for the commercial kitchen. 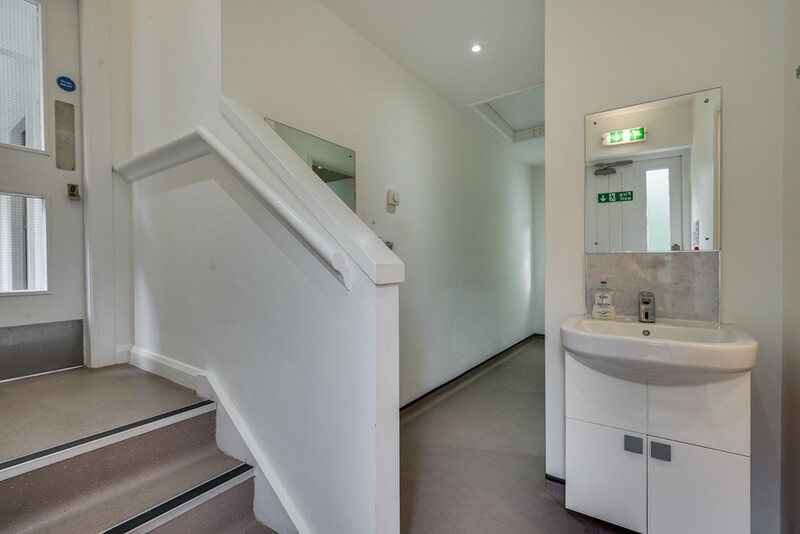 The wood pellet fuelled boiler meets the hot water and heating requirements of both Thorney How buildings. 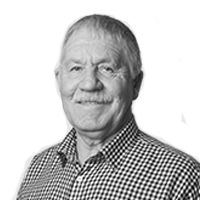 Council Tax and Business Rates Band A – South Lakeland District Council. 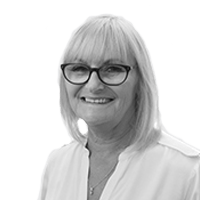 Viewings Strictly by appointment with Hackney & Leigh Ambleside Office. Energy Performace Certificate The full Energy Performance Certificate is available on our website and also at any of our offices.